John Ford’s 1929 colonial adventure, his first talkie, The Black Watch, from Talbot Mundy’s The King of the Khyber Rifles, tells the story of Scottish Captain King’s secret mission on the eve of World War I, to infiltrate a mysterious indian cult enslaving people in their underground caves. A black and white film with a couple of genuinely remarkable battle scenes, it is unfortunately crippled by its at times horrendous acting. To no fault of John Ford’s, as a separate dialog director held that responsibility, and quite poorly at that. A dead ringer as the primary influence on the plot of The Temple of Doom, and perhaps even on Raiders of the Lost Ark – TheRaider.net explores Indiana Jones in much the same way that Kitbashed does with Star Wars, highly recommend – it seems plausible that Lucas had seen it when he was first doing Star Wars, and maybe he had remembered the arabian flintlock rifles used both in the film and in its marketing materials, and decided used them for both Luke and the tusken raiders. 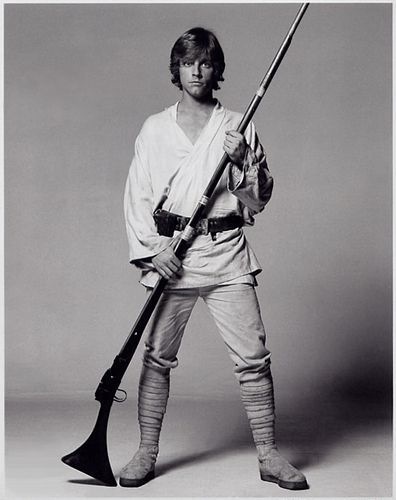 It's even possible, albeit perhaps unlikely, that a line from the film, “Bring captain King to me,” became Luke’s request to Jabba: “You will bring captain Solo and the wookie to me”.